Organised gambling on the Falkland Islands is practically nonexistent. This is most likely due to the fact that the population of the islands is just under 3000. The Falkland Islands consist of two main islands, East and West Falkland, as well as 776 smaller islands. The archipalego is situated off South America’s Patagonian coast. The discovery and colonisation of the Falkland Islands is somewhat controversial. This has lead to both Argentina and Great Britain laying claims to the territory. Today, the Falkland Islands are considered to be one of the British Overseas Territories. British Overseas Territories are under the jurisdiction of the United Kingdom; their monarch and head of state is Queen Elizabeth II. However, these territories also have their own government, as well as localised laws. The Falkland Islands don’t seem to have created their own legislation regarding gambling, which means the UK gambling laws apply to them as well. In the United Kingdom, and consequently in the Falkland Islands as well, there used to be a “white list” of countries and jurisdictions, from where gambling operations could be conducted in the UK. However, with the 2014 changes to the gambling law, all gambling operators must be approved and licensed by the Gambling Commission. To summarise, any gambling operator with the licence to provide gambling services within the UK most likely has the same rights in the Falkland Islands. 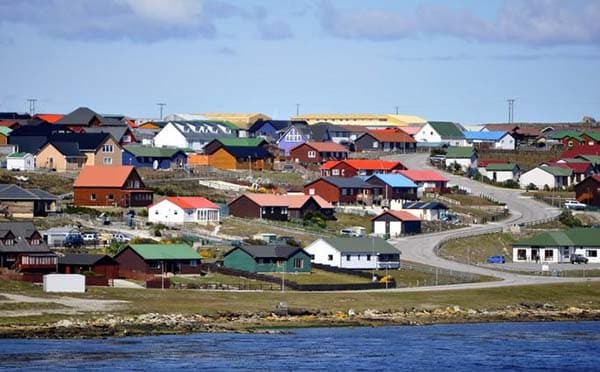 There are currently no online gambling operators based within the Falkland Islands themselves. There also don’t seem to be any brick and mortar gambling establishments. Casino gambling is not actively prohibited in the Falkland Islands. However, there are no land-based casinos or slot machine halls in the territory – which is not surprising, seeing as the population of the islands is under 3000. 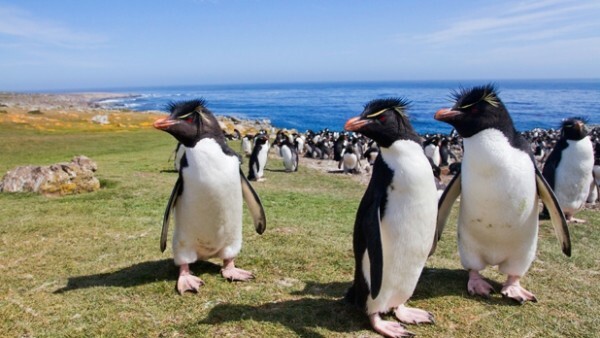 Though tourism plays an important part in the economy of the Falkland Islands, it is focused mainly on the natural beauty and fauna of the archipalego. There are no online gambling operators based in the Falkland Islands. Companies licensed in the United Kingdom are free to provide online gambling services to the locals. Falkland Islanders are also free to play on foreign online casino sites, these are neither banned nor blocked. Bingo is legal in the Falkland Islands, though there is no evidence of any organised and regular bingo games. There are no bingo halls on the island. Locals may participate in online bingo games on sites licensed by the UK Gambling Commission. There are also no laws against Falkland Islanders playing on unlicensed foreign bingo sites, though the unlicensed sites themselves are providing their services illegally. Poker is legal in the Falkland Islands, though there are no dedicated poker halls, nor any casinos where poker would be available. Apart from casual games, there doesn’t seem to be any live poker action on the archipalego. Online poker is also legal on the Falkland Islands. Online poker operators licensed by the UK Gambling Commission may legally offer their services to Falkland Islanders. Locals may also play on unlicensed, foregin online poker sites without repercussions. Sports betting is not prohibited by Falkland Island laws, but there are no sportsbooks physically present on the islands. There are also no racetracks, where betting might occur. Apart from casual betting, the only way for Falkland Islanders to participate in sports betting is online. Though there are no online sports betting sites based in the Falkland Islands, any sportsbooks licensed by the Gambling Commission may provide their services on the islands. Locals may also freely access foreign online sports betting sites. Lottery is legal in the Falkland Islands, though the territory has no lottery of its own. There are also no brick and mortar retailers selling lottery tickets for other lotteries. However, locals may participate in the National Lottery of the United Kingdom, tickets for which are available online. There are no online lottery operators based specifically in the Falkland Islands. However, apart from the National Lottery, the UK Gambling Commission also issues licences to other online lottery operators. These companies may legally provide online lottery services to residents of the islands. Locals are also free to participate in any international online lottery draws available to them. Bitcoin is not specifically addressed by Falkland Island laws. The UK Gambling Commission neither prohibits, nor encourages Bitcoins, but the cryptocurrency is subject to taxation. Bitcoin casinos need to be licensed by the Gambling Commission the same as any other online gambling operators. Licensed Bitcoin casinos may legally offer their services in the Falkland Islands as well. Bitcoin casinos without a UK licence are banned from providing gambling services within the United Kingdom, which means they may not do so in the Falkland Islands either. However, many such sites are available from within the Falkland Islands, and there are no laws prohibiting locals from gambling in foreign Bitcoin casinos. Last updated: 2015. 12. 15. This online gambling guide focuses on the legal status of casinos, gambling, sports betting, lottery, bingo (housie), poker and Bitcoin gambling in the Falkland Islands.